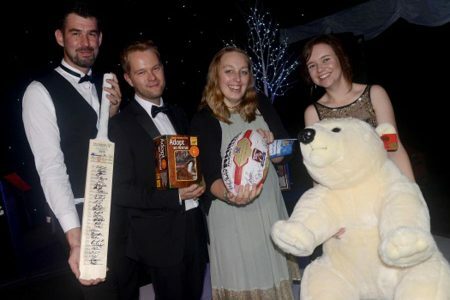 The ball was organised to raise money for the Yorkshire Wildlife Park Foundation, which champions work and animal welfare and conservation. With over 100 guests enjoying a champagne reception and four-course dinner in the Tsavo Lodge, accompanied by live music and followed by a grand auction. Bidding reached £2,700 on the safari holiday supplied by Mantis Hotels. The other of the five big live auction prizes included a personal guided tour of the Palace of Westminster by the Rt. Hon Caroline Flint MP and a tour of the Emmerdale set, a box at Doncaster race course as well as an Ultimate Carnivore Experience at Yorkshire Wildlife Park, a tour that you cannot buy which includes behind the scenes at Polar Bears, Lions, Tigers and Leopards. Bids are still being taken online for a number of lots, so even if you didn’t make it to the ball, you can be in with the chance of winning a brilliant prize whilst donating to an extremely worthy cause.